English artisans The Leather Satchel Company created bespoke backpacks for Prince George, Princess Charlotte and Prince Louis’ – and you can snap up one just like them if you’ve got some cash to burn! The HRH Mini Windsor Backpacks popped up on Instagram last month and it’s exciting to note that they’re also available to non-royal types online! “Charlotte will be obsessed with that. She’s obsessed by pink. I’ll never be able to get it off her,” William says in an Instagram clip posted by the Leather Satchel Company. The makers were delighted by William’s enthusiasm – and pointed out that they’d even embossed the little prince and princess’s name on their gifts. “We presented The Duke of Cambridge Prince William, with 3 very special gifts for Prince George, Princess Charlotte, and Prince Louis especially personalised for them. 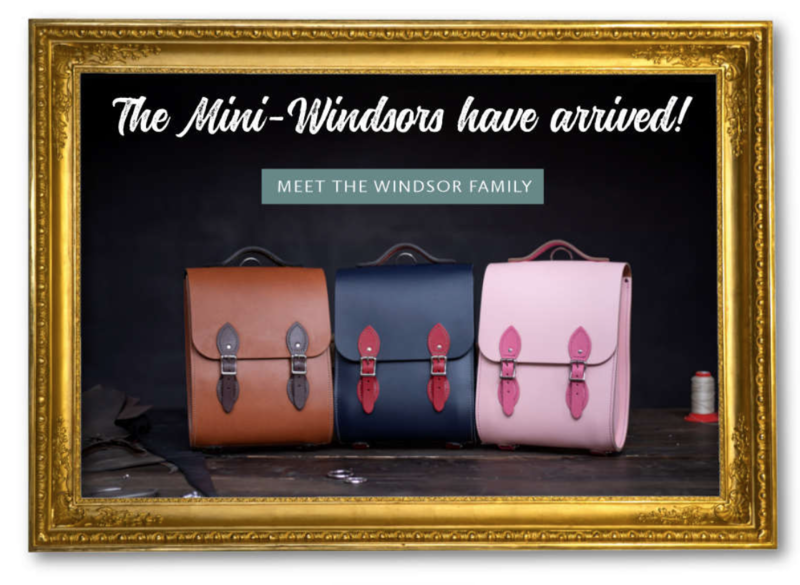 Will we see them wearing these beautiful Mini Windsor Backpacks?” the Leather Satchel Company gang posted. His Royal Highness The Duke of Cambridge met our Managing Director Keith Hanshaw and Mrs Gail Hanshaw today. Prince William was presented with three leather backpacks, each with the name of one of his children embossed on! He said of the pink one: "Charlotte will be obsessed with that- I'll never be able to get it off her" 👑 🎒 If you support British made, if you support quality, if you support made locally then this is the post to tag your friends in! Made in Liverpool by a family owned business since 1966! If you’ve got the inclination and a spare $270 we might be seeing YOU – or your kiddo – wearing one too!